SOTA ‘s service and customer support is renowned. Whether you intend to purchase a tractor soon or at a preliminary stage, searching for information, we’re here to assist. Please send us an email – we’d love to hear from you! We have dedicated, onsite service vehicles at all of our branches. "I have absolutely no problems with recommending not only the product/implements, but also your customer service and professionalism...your business is one that cares about customer service and delivers it - something that is missing with a lot of businesses. You all are a credit to how business should be done and would recommend dealing with you to anyone. Many thanks." Just a note to say “VERY IMPRESSED” with the speed you responded. I partly purchased the APOLLO 354 on value for money but after-sales service was the main factor and you have delivered on that 100%…well done, not many companies do what they say in their marketing and customer care, but you and SOTA Tractors do. Again, keep up the great customer care!" 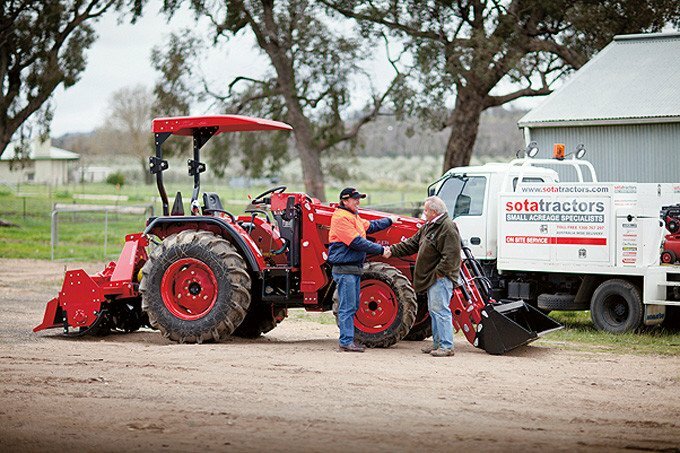 "We are impressed by the friendly, prompt and professional way Sota Tractors have handled our purchase. The tractor is everything we expected and more. My wife and I are amazed how easy it is to drive and manoeuvre, already it has effortlessly done some quite hard work. 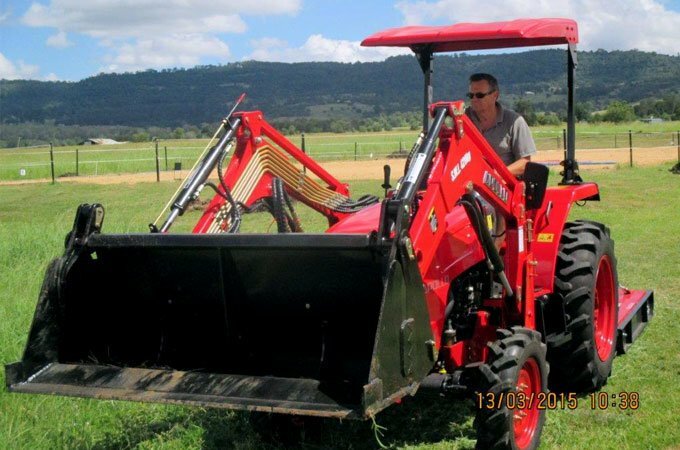 We have no hesitation in recommending Sota Tractors." "I'm as happy as Larry with my Yanmar tractor and Sota's professional approach to my purchase. The assistance and advice they gave me during the process was most helpful." "The tractor has been fantastic. I've done a lot of really useful stuff with it - from slashing, to moving rocks and rubble, carrying new trees, grading, terracing...all great. Thanks very much again for your valued assistance." Hi, I just thought I would let you know that I have appreciated your backup and service of my Apollo 55 tractor, purchased from SOTA 18 months ago. You and your team of Festus, Carlton & Allan have always been obliging and prompt with help and service as requested. Just a small note to tell you this service is appreciated and will recommend your company to others." Bernard Moss - Highlands Vic. "Hello Steve, Thanks for organising the delivery and Jim's briefing, being a valuable adjunct to understanding the operation and limitation of our new tractor. We are both delighted by our latest acquisition, having already clocked up 25 hours operating time. 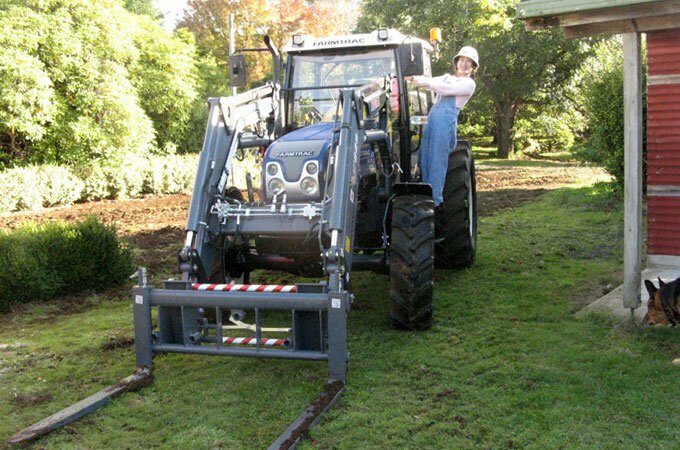 Attached is a photo of a happy wife, once again thanks for all your assistance and recommending this Euro tractor." "So after buying an old Fergie via a work mate I was amazed at what I could achieve, it really taught me the real value of having appropriate equipment whilst trying to maintain small acreage with very little time available to do so. I had previously checked out SOTA along with many other vendors online. I was lucky enough to find some one local - an agricultural mechanic who had serviced Apollo's including a ' 354 and another Chinese built tractor. He steered me toward the APOLLO.... He mentioned it had everything and exceptionally good value..."but we will see after its done some work!" 12 months on, dozens of citrus trees pulled, lifted and moved, numerous FEL jobs, mower duties, with the supplied flail mower (bloody great) and so much more. And so economical In short just do it! I won't repeat what other customers have said regarding after sales and the SOTA team other than to say they have been excellent. You won't look back and you will be astounded at the strength and versatility of this machine, It's simple, reliable and extremely capable, better than expected. You also have the equivalent or better than 100 odd men at your disposal. I have had no issues thus far. Oh, and they all have a sense of humor at SOTA, ...even Steve!" Chris Doe - Freeling, SA. 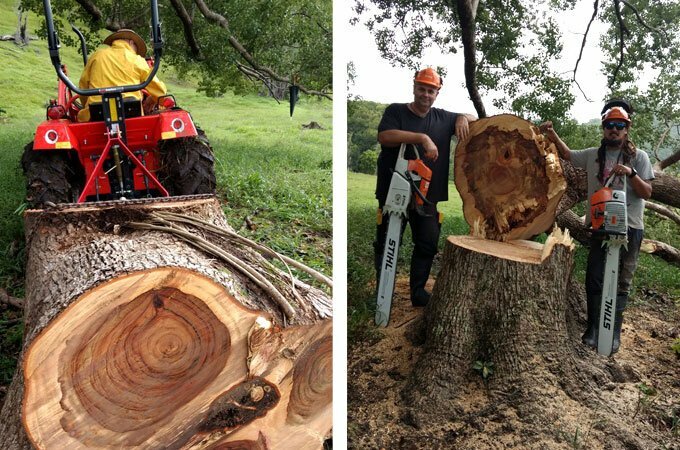 "My name is Myles Larden, I am a partner in a logging company here in Mullumbimby NSW called, Axemen Logging and exports. We log and export Camphor Laurel to Korea and to the domestic market. Our largest problem is working in the forest after or during rain. The ground becomes so soft it bogs down our Skid steer, our all terrain forklift and our front end articulated loader. We thought to try a tractor as a last resort. I ended up purchasing a remanufactured Kubota tractor from Tony at SOTA Tractors, a little 28 hp job. Everyone said it wouldn't pull our logs in the mud. Not only did the tractor not get bogged but it ended up pulling 3.5 meter 3 tonne logs all the way to the truck, which is about 10 mins drive... and just does not miss a beat." "The service we received from SOTA is terrific. 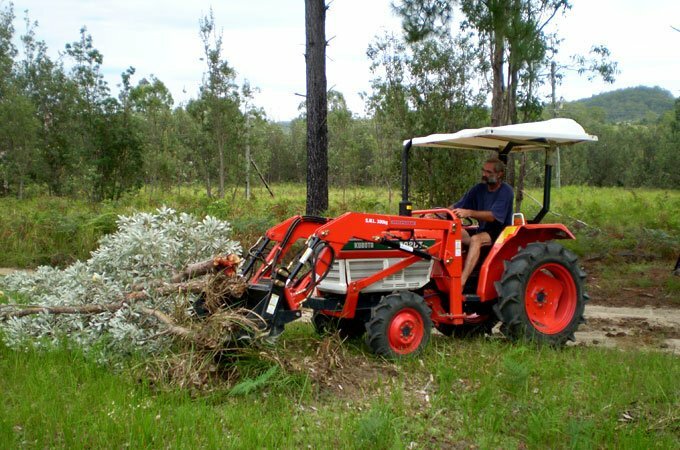 We are now looking to buy another Kubota, the 45 hp model from them. So far so good, give them a call.